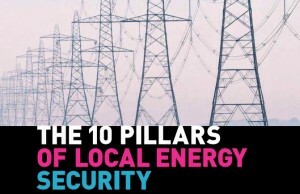 The LGiU has developed the Ten Pillars of Local Energy Security. Councils, hospitals, universities and the rest of the public sector are considering the cost, type and nature of the energy they use. In addition, they are trying to ensure that these choices fit into a wider local, regional and national set of choices. This is no easy task. As well as meeting the needs of their employees and the communities they serve, they must also consider volatility in world energy markets, an ever more mobile population, rapidly changing technology and the raft of new policies and funding now available to tackle climate change. It’s a tall order for an organisation for whom energy supply has traditionally been a back office task with little strategic input. The LGiU’s research shows that most councils are baffled by the choices available to them. In our survey on the use of feed in tariffs with the members of ‘Carbon Saving Public Sector’ none of the respondents had been able to progress a scheme. Even those who had decided on a course of action had to delay for financial or legal reasons. 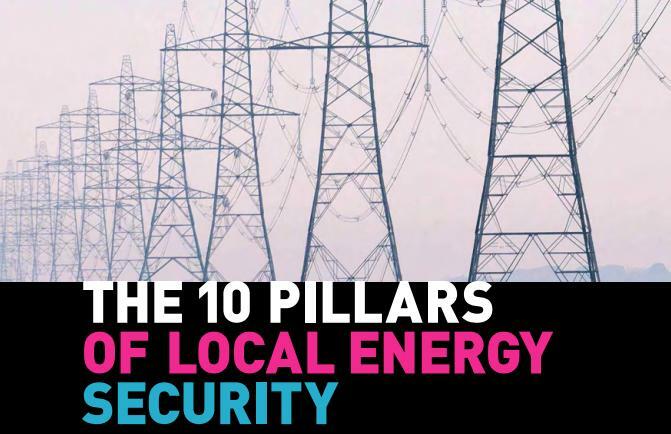 In order to help councils to develop strategies that will address these social, economic and environmental challenges the LGiU has developed the Ten Pillars of Local Energy Security. This paper is intended to stimulate a debate about the best strategies to follow. To help public sector organisations navigate the low carbon world the LGiU set up Local Energy Ltd as a social enterprise. Local Energy has just formed a partnership with the Energy Saving Trust.